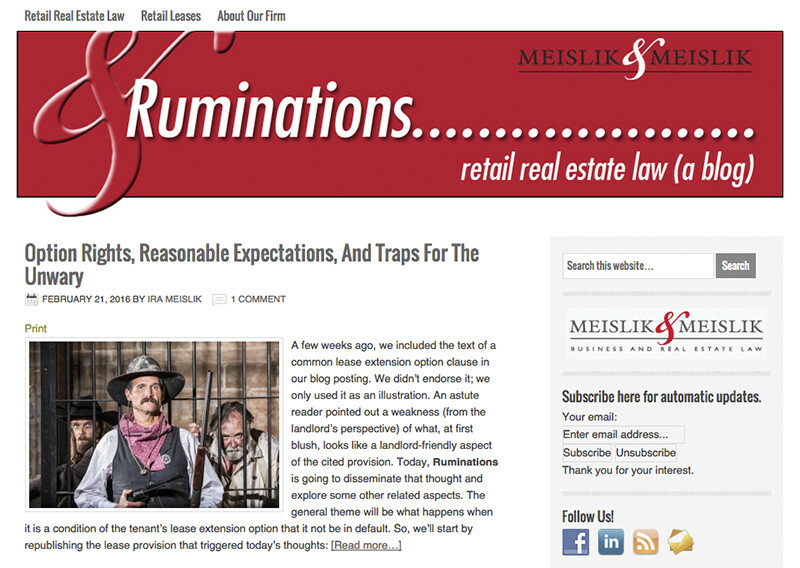 Ruminations is a very active blog for those involved in retail real estate and the law … attorneys, building owners, lessors, and lesses. The weekly posts are followed by a great number of participants and result in a lively and thorough discussion. The banner incorporates the Meislik & Meislik law firm logo.